The Stanislaus River will have mellow flows all year. on the Stanislaus River out of Knights Ferry! 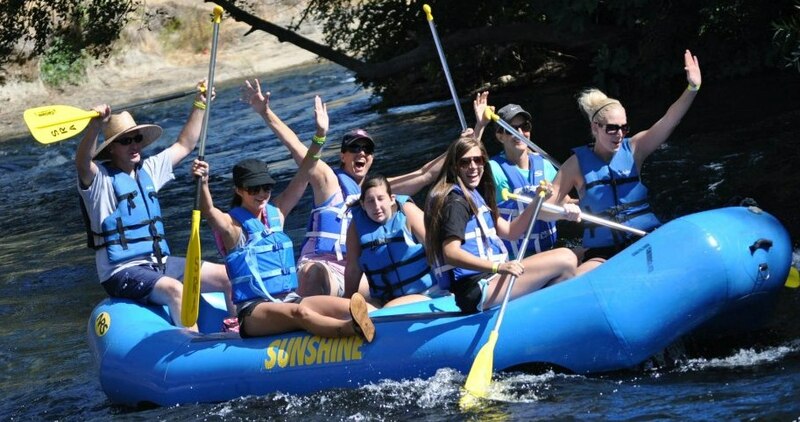 Knights Ferry Rafting has been a popular family activity since the early 80’s, and now is a source of fun, enjoyment, and relaxation for thousands of people every summer! The town of Knights Ferry, CA is small but has plenty of character, and is a great spot to start a day of rafting fun! Knights Ferry Rafting trips typically run from Knights Ferry to Orange Blossom Park, which takes around 3 to 4 hours for most groups. This voyage along the Stanislaus River includes beautiful parks, small (but exciting) rapids, and miles of beautiful scenery! Knights Ferry Rafting trips typically run from early May until the end of September. 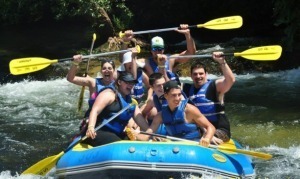 These self-guided trips include commercial quality rafts, paddles, life jackets, as well as free parking and a shuttle ride at the end of your day. 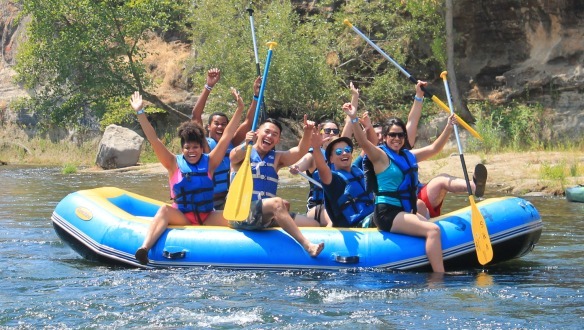 Given normal flows, children 5 and up can participate, which makes Knights Ferry Rafting a great place to bring the entire family! 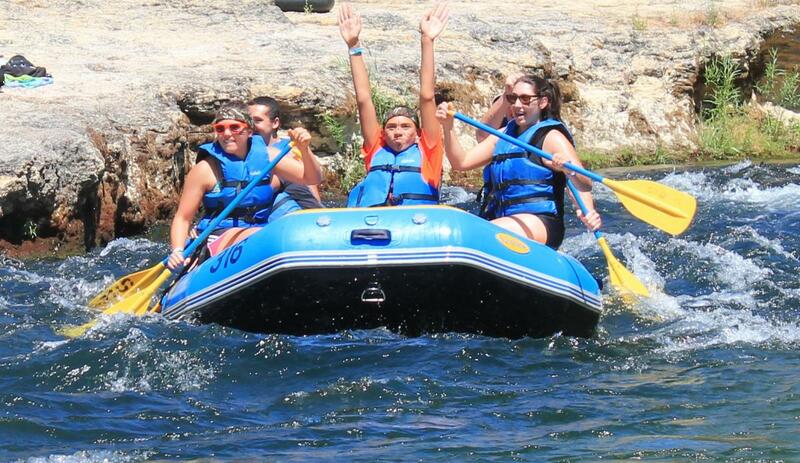 If you are interested in going rafting in Knights Ferry, CA, let us give you a hand in making a reservation! Feel free to contact us at 800-829-7238 or by emailing us at Info@KnightsFerryRafting.com! 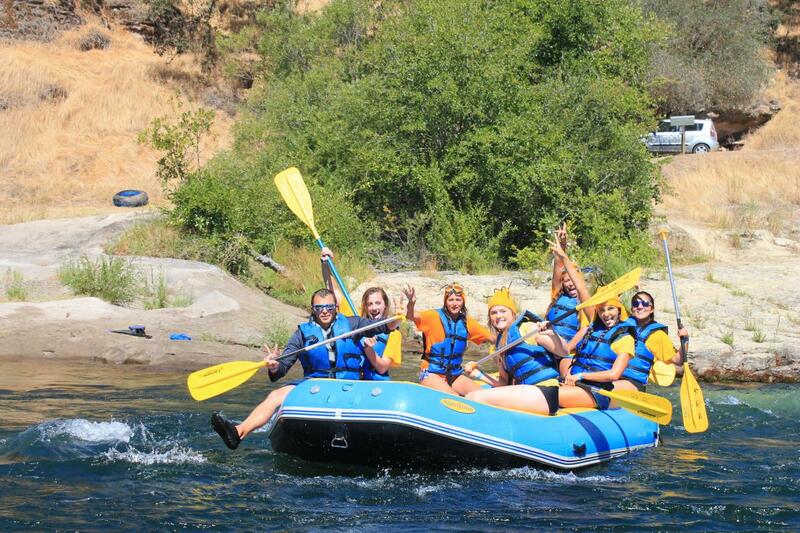 Check out a full breakdown of what is involved in a day of Knights Ferry Rafting! Our Knights Ferry rafting page will lay out what to expect over the course of your day. If you have any additional questions, just give us a call at 1-800-829-7238. Rafting trips for 2018 will begin in May. Call us for details!